Morning friends! The weather has been lovely here in PamKittyVille and I've been spending time outside on the patio. I don't have a fancy yard but I love sitting outside on my swing enjoying the fresh air and listening to my little frog fountain and seeing my pots of flowers. I have the feeders all filled up and there are lots of birds coming around. Spring is the best time of year. Sadly it's probably over in another 20 minutes or so and there will be nothing but relentless sunshine and high temperatures but lets not get ahead of ourselves. 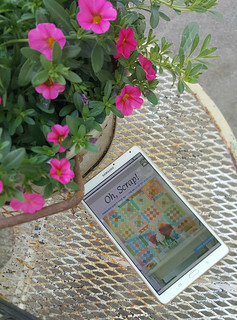 Yesterday I sat out back and read through Lissa's new book Oh, Scrap! ( I received a digital copy from Martingale to read and review, and the following photos are from their website. ) Lissa's scrap quilts are legendary. Oh, Scrap! 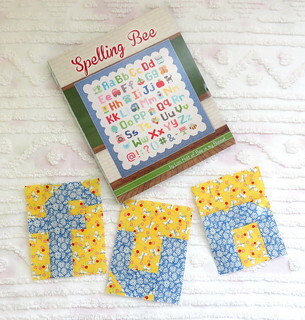 reveals Lissa's secrets of fabric selection by showing swatch cards for the quilts and a bit about the fabrics on it. Surrounded is my favorite quilt in the book. 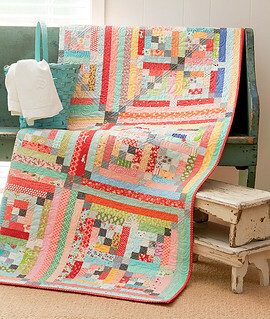 I've seen so many wonderful examples of this quilt made both scrappy and with two colors. 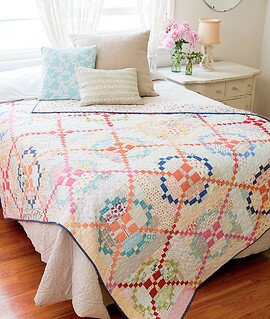 Of course I'm drawn to the cheerful colors of all the quilts. This is another quilt that says MAKE ME. The whole book is filled with them. Lissa's instructions are great, and the photography by Brent Kane and Adam Albright is wonderful. The book is filled with inspiring projects and beautiful photographs, but it also provides lessons on color, scale, density and value , fabric storage with scrap quilts in mind, and that nudge you need to get started. The introduction by Barbara Brachman gives you a history of scrap quilts in America. I thoroughly enjoyed it. Good Morning friends! How are you? Things are perking along here. Last week Bret, Frankie and I took a quick trip down to SoCal for a visit to Disneyland. We spent one day park hopping between Disneyland and California Adventure and it was a fun and exhausting day. I took hardly a picture the whole trip. On our second day we headed over to the City of Orange to my favorite antique shop Country Roads Antiques and Gardens. Then we headed over to Studio City to Bonjour Fete, a delightful little shop that Frankie had been following on Pinterest and Instagram for a while. Back in PamKittyVille I'm still trying to get back in the groove. 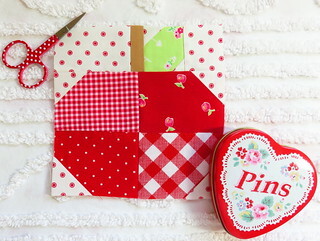 Yesterday we had a rainy day which was perfect for sewing. I've been unable to focus on a project but when I saw these scrappy apples on @abrightcorner 's Instagram feed I knew I had to make one. They're so cheerful, so thanks Andy for the happy inspiration. The apples are from Lori's Spelling Bee Book, made scrappy by exchanging a solid print apple with 4 prints. So clever. That's it for me, what are you up to? Morning friends! It's Saturday Spelling Bee time again here in PamKittyVille !!! This sew along has been so much fun. I really admire Lori and how she manages to keep coming up with more and more adorable things for us! My letter today is uppercase U! Like all the letters, U comes together quickly and instructions are available it two sizes. U won't be sorry you started this project. Don't you love how this book lies flat. I'm not good about keeping my sewing area cleared off so being able to fold the book in half with my instructions next to my machine really is convenient. The illustrations are perfect and make it easy to follow along with just a glance. I sure had a good time with this sew along and I appreciate Fat Quarter Shop and Lori for including me. It was a lot of fun! Be sure and hop over and see what Charise is up to. She's making lower case u and I know everything Charise makes is amazing. 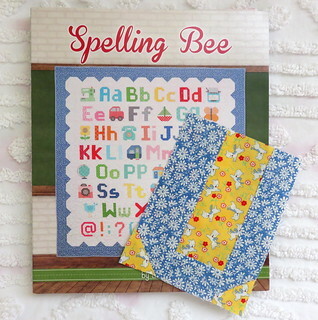 To see all the fun Spelling Bee sew along photos be sure and check out the hashtag on Instagram #sewingbeesaturday .